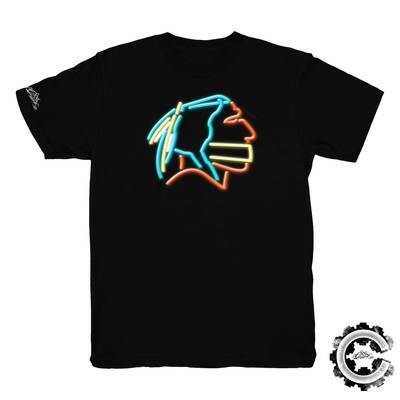 A couple of days before we headed off to Navajo Code Talkers Day in Window Rock, Arizona we were contacted by our long time friend Jared Yazzie from OXDX Clothing. He was putting together his Fall Release and asked us to be a part of the photoshoot, so of course we had to say YES! With his amazing line and so many dope creatives on his team, we knew it was going to be fly! 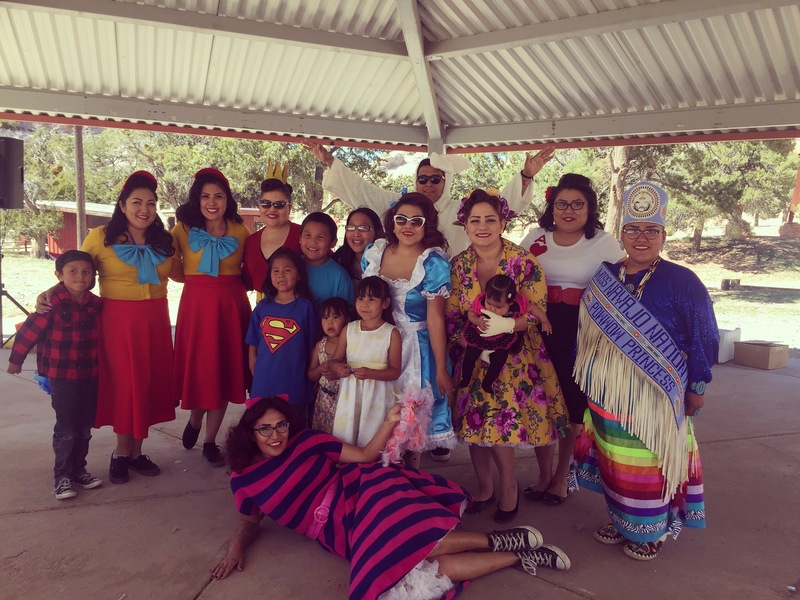 On March 19th, 2016 we held our 3rd Annual Easter Eggstravaganza event in Window Rock, AZ. The Easter hunt took place at the Window Rock Veteran’s Park with hundreds of guests and 5,000 eggs! We also had a playful Alice in Wonderland theme for the Spring weather and handmade decorations from all our Members. Each of us dressed up as a character from the 1951 Disney movie, such as Alice, Tweedledee and Tweedledum, Cheshire Cat, The Red Queen, Playing Cards, and Singing Flowers. The weather was beautiful for March, with sunny skies and minimal winds. 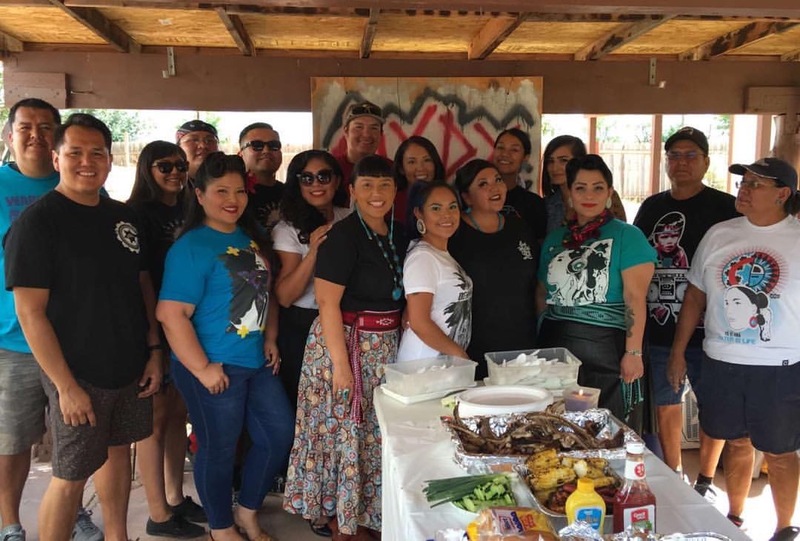 We hosted our Easter Bake Sale and Raffle Booth with many prizes donated by native artists such as Jay Garcia, Jay Smiley, Def-I, OxDx Clothing, and others. Our guests really enjoyed our themed event that year! 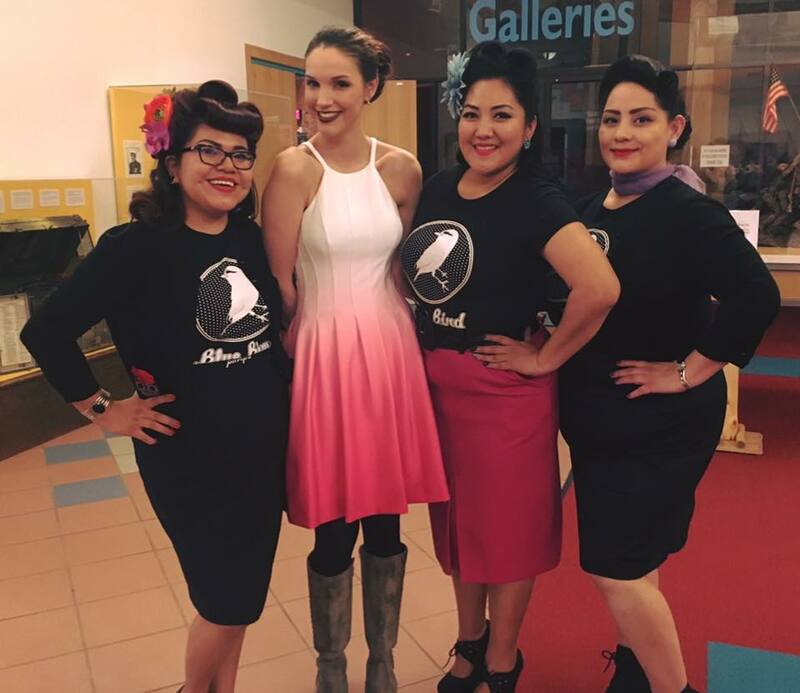 On March 3rd we were invited to the Dreamers Junction fashion show “A Night to Remember” in Window Rock, Arizona. The showcase included designers Shane Watson of Shayne Watson Designs, Jared Yazzie of OXDX Clothing & Loren Aragon of ACONAV. 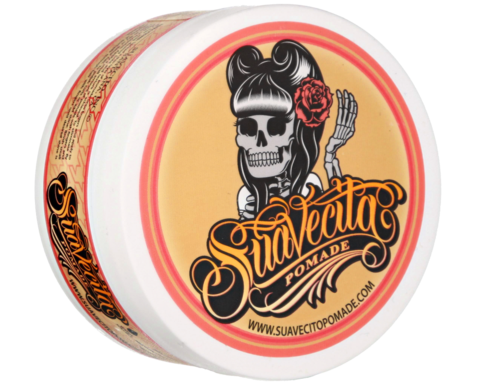 Although we are usually a part of the big event, this time we behind the scenes creating vintage inspired hair styles for 15 models, this list even included actress Grace Dove of “The Revenant” who starred alongside Leonardo DiCaprio. 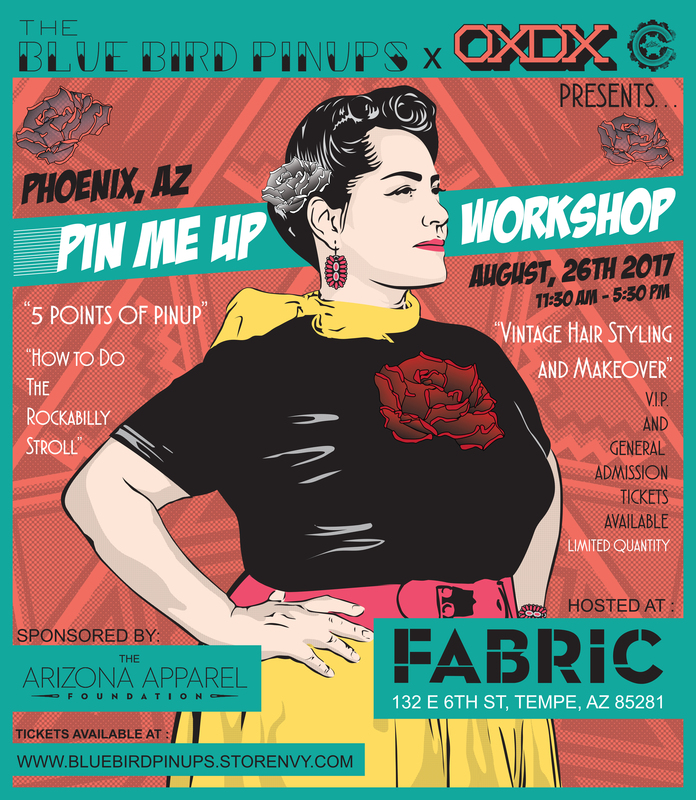 Each model was given a unique hair style from Victory rolls, bumper bangs, vintage waves to low messy buns to end the show. All hair styles collaborated well with the showcase that included urban streetwear to elegant wedding attire. It was great to see our hair styles being modeled though out the entire event and we would like to thank the owner, Mariah Watchman, of Dreamers Junction for allowing us to be a part of this great event! 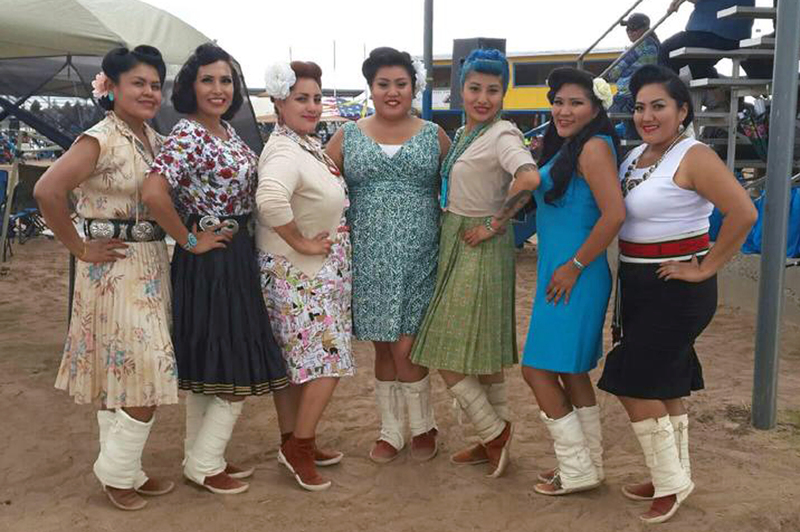 The Blue Bird Pinups made it out for the biggest event known to natives on the Navajo reservation, the Navajo Nation Fair in Window Rock, AZ. While our audience does grows daily, it is always great to attend community events on our reservation. The morning started off bright and early but when we arrived to the parade, we could have been mistaken for being late due to all of the tents and vehicles that waited for days to save there parade spot. We were fortunate enough to help SMASE, St. Michaels Association of Special Education, with their float in the annual parade. Our organization has worked with SMASE on more than one occasion and our relationship always seems to strengthen due to the effort of both organizations helping one another. The parade was a long walk, starting in Tse Bonito, NM and ending in St. Michaels, AZ. We were asked to hand out water, apples and oranges to the parade spectators. One of our main focuses was making sure the elderly didn’t go home empty handed. During the walk we were able to hand out some BBP goodies like stickers and postcards. The weather got pretty hot but we kept going strong. It was a great opportunity to see everyone who attends this annual parade. The Blue Bird Pinups had a blast at Viva Las Vegas 17!! We can’t wait for next year!